Many FERS employees are feeling very uneasy with the proposed cuts to the Federal Employees Retirement System (FERS). It’s a lot to try to take in. People are worried about what will happen to their retirement plans if these changes take place, and what they need to do to retire. Each of the proposed benefit changes has varying impacts on retirement—from a mild to a severe impact. An extended pay freeze may cause your earnings potential to be permanently lowered for your career. This is because your earnings during that pay freeze period are stagnant and it’s very hard to “make up the difference” throughout your career. You may also receive less TSP FERS Match over your career as a result. If your career earnings are lowered, then your High 3 Average may be lower causing your monthly FERS pension payments to be less than if no pay freeze were to occur. This may cause the retiree to withdraw more from TSP to make up the difference, or may cause them to need to reduce expenses, if possible. As it stands today, your FERS pension calculation is based on your High 3 Average, which is your highest average basic pay you earned during ANY 36 consecutive months in your career under FERS. Thirty-six months equals 3 years, and that’s why it’s known as High 3 Average. These years are often your final 3 years of service but can be an earlier period if your basic pay was higher during that period. A change to High 5 Average would likely mean the calculation would be extended to a 60-month, or 5 year, average. This may reduce your FERS pension by a small to possibly moderate amount. Read this case study to compare a High 3 and High 5 FERS calculation. This may cause the retiree to withdraw more from TSP to make up the difference, or may cause them to need to reduce expenses, if possible. Each pay period, FERS employees automatically contribute a percentage of their basic pay into FERS and this in turn provides a monthly FERS pension in retirement. The proposed increase for FERS contributions may cause FERS employees to have to contribute substantially more. FERS RAE and FERS FRAE employees may have to contribute more as well. Can You Still Afford to Save As Much In TSP? This change would mean that employees have less take-home pay—which may force them to reduce their TSP contributions to make up the difference. 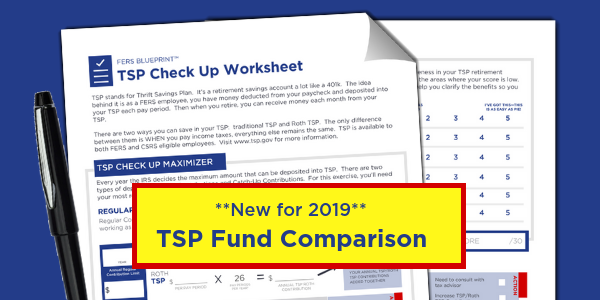 Lower TSP contributions may cause an employee to lose some of their FERS TSP Match and/or have a lower TSP balance at retirement. This can have a permanent and long-range impact on retirement planning. As it stands today, the FERS Cost of Living Adjustment (COLA) for retirees can be called a “diet” COLA because there are caps in the formula. The FERS COLA is calculated by the U.S. Department of Labor based on the change in the Consumer Price Index (CPI) for urban wage earners and clerical workers from the third quarter average of the previous year to the third quarter average for the current year. If the CPI increases by LESS than 2%, the FERS pension is increased by actual CPI. If the CPI increases between 2% - 3%, the FERS pension increase is capped at 2%. If the CPI increases by more than 3%, the FERS pension is increased by actual CPI minus 1%. The current FERS “diet” COLA calculation may cause the retiree to need to withdraw more from TSP to cover their expenses over time because the FERS COLA may not actually keep up with rising costs. This makes it a challenge, as is. 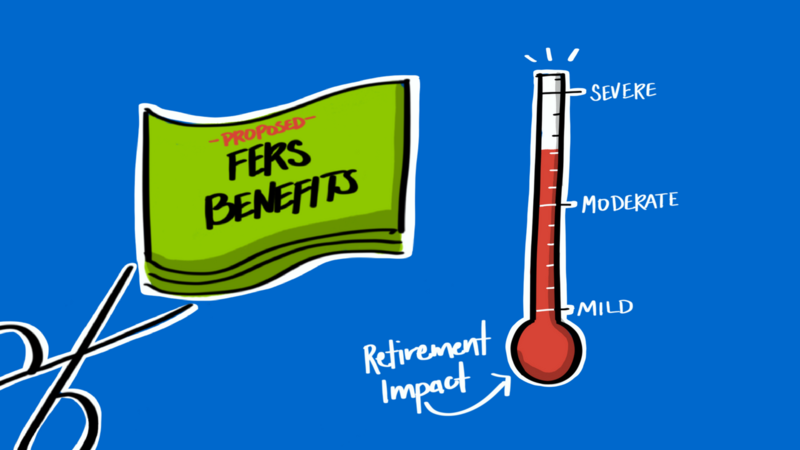 The elimination of the FERS COLA would have a severe impact on a long-term retiree because the FERS pension payment would be frozen from the start of retirement. This may cause the retiree to withdraw substantially more from TSP during retirement to keep up with rising costs. Without proper savings and planning, this may place a retiree at risk of running out of savings during their lifetime. Many early FERS retirees depend upon the Supplement because it helps them “bridge the income gap” between early retirement and Social Security eligibility at age 62. The FERS Supplement is calculated based on the number of years of FERS service and is a percentage of the Social Security benefit estimate at age 62. The Supplement ends when you reach age 62. The elimination of the FERS Supplement would have a severe impact on an early FERS retiree. The loss of the Supplement may cause the retiree to withdraw substantially more from TSP during the years before Social Security eligibility. Without proper savings and planning, this may place a retiree at risk of running out of savings during their lifetime. A reduction in the interest rate for the G fund may be “a rock and a hard place” for some TSP investors. For the TSP investor who is very risk adverse and allocates a bulk of their TSP to the G fund, this may cause a lower performance and a reduced TSP balance at retirement. For other TSP investors, they may respond to a change with a different investment allocation choosing to invest more in the F, C, S, and/or I Funds. This change may or may not work out well if they experience market volatility, this may cause loses and may result in a lower TSP balance at retirement. Federal Employees Health Benefit (FEHB) provides a wide choice of health insurance plans and coverage for both employees and retirees. The government pays a large portion of cost of the FEHB, and the employee and/or retiree pay a smaller share. The share of cost of some FEHB plans may be increased for plans which don’t meet certain performance metrics. This may cause the retiree to pay more for their FEHB coverage or change to a different plan. Today unused sick leave is added to creditable service and may increase the monthly FERS pension payment. Annual Leave is paid out in a lump sum payment at retirement. If Sick Leave and Annual Leave were combined, employees may receive less Paid Time Off, and may no longer receive any credit towards the FERS pension calculation and/or may no longer receive a lump sum Annual Leave payment at retirement. This would have a mild impact on FERS retirement income but may necessitate more savings for the first few months of retirement while OPM is finalizing the FERS retirement application because the Annual Leave payout may be lower or no longer offered. Take action today to develop a sound retirement strategy. First step is for you to get crystal clear about how each of the 7 FERS benefits work. Next, get the knowledge you need to develop an accurate retirement plan. Be sure to use a retirement planning framework that helps you factor in inflation, income taxes, the cost of benefits and living expenses so that you can estimate your TSP savings goal. Then if a proposed benefit change actually occurs, you can use that same framework to make adjustments needed in your retirement plan. A sound retirement strategy has three key elements: proper knowledge, a planning framework and an action plan.